Trial sessions are available for new starters only. Players must enrol for a minimum of 9 weeks to attend the Soccer Saturdays class. The first session of your child's block booking is used as a trial session. If after this session you do not wish to continue, then we will refund you the course fee. At GIRLS SOCCER ONLY we welcome players and make them feel part of the group, we empower Girls of all abilities to play, experiment and be creative; all in a football fun environment. 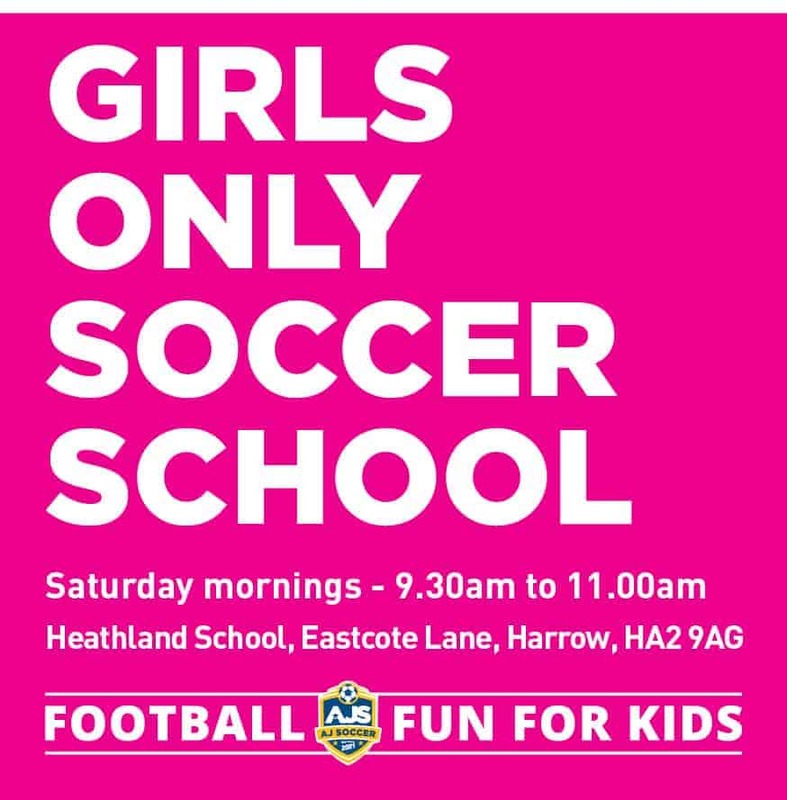 At Girls Only Soccer School we welcome players and make them feel part of the group, we give the chance for Girls of all abilities to play, experiment and be creative; all in a football fun environment. Players are split up into age appropriate groups so that they warm up and train with other children of their own age and size. The 1.5h sessions are run by our F.A qualified coaches, who will offer advice, set challenges and help develop key skills to improve your daughter’s development. The Girls Only sessions will consist of practices and small sided mini-matches. Plenty of non-fizzy drink and suitable sports clothing. Football boots are recommended, NO METAL STUDS.